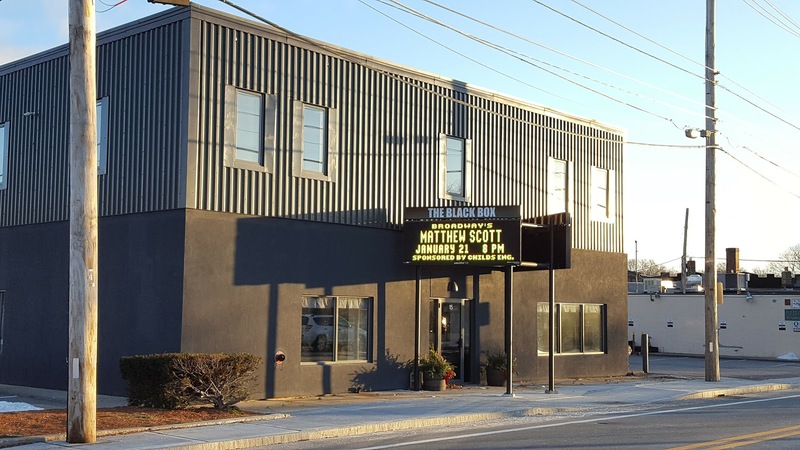 Broadway’s Matthew Scott headlines a one-night-only show at THE BLACK BOX, downtown Franklin’s theater, music and event venue. The January 21 concert highlights a full month of music series entertainment to kick off the New Year. 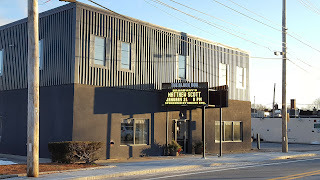 A suburban hub for great music, THE BLACK BOX is located at 15 West Central Street. The New England Percussion Ensemble launches the 2017 FPAC Family Concert Series on Sunday, January 8, at 1 p.m. Featuring talented, professional musicians in an engaging and entertaining format, Family Concert Series events are presented free to the community and are especially geared to children. Sponsored by Berry Insurance, the concerts provide young audiences with a fun introduction to the world of live music. The New England Percussion Ensemble specializes in presenting creative and energetic audience-interactive enrichment programs to youngsters. BLACK BOX Jazz presents the John Funkhouser Trio at 8 p.m. on Friday, January 13. The ensemble delivers an energetic, accessible blend of modern jazz, funk, blues, 20th century classical, Indian classical, and European and American folk music, which creates a funky, groove-oriented, fresh and original sound. Fired by Berklee Professor John Funkhouser’s “explosive piano playing” (Boston Globe), the band stretches the limits of traditional jazz form. Fresh off his Broadway run as Adam Hochberg in An American in Paris, Matthew Scott performs a solo cabaret show on Saturday, January 21, beginning at 8 p.m. The concert is the second presentation in THE BLACK BOX Broadway Series, new this season and sponsored by Childs Engineering. Broadway credits also include Jersey Boys, The Best Little Whorehouse in Texas (Actors’ Fund), A Catered Affair with Harvey Fierstein, and Sondheim on Sondheim starring Barbara Cook and Vanessa Williams. Television appearances include First You Dream: The Music of Kander and Ebb for PBS, All My Children and the 2006 and 2009 Tony Awards. Electric Youth 2017, the international touring ensemble of talented young singer-dancers, debuts at THE BLACK BOX on Saturday, January 28, with two shows at 6:30 and 8:30. Offering family entertainment for all ages, the group is backed by an eight-piece band of world-class musicians who have performed, recorded and toured with such music legends as Tony Bennett, Aretha Franklin, Diana Ross, The Temptations and more. EY presents fully choreographed, high-energy music, including contemporary pop, classic rock, Broadway and country hits. THE BLACK BOX Classical Series presents “Captivating Artists Performing Romantic Music” on Sunday, January 29, at 4 p.m., featuring violinist Irina Fainkichen and pianist Irina Kotlyar. Selections will include Franck, Sarasate, Prokofiev, Khachaturian, de Falla and Schnittke. Tea service will be available in the lobby. Born in St. Petersburg, Russia, Irina Fainkichen is a member of Cape Cod Symphony Orchestra, assistant concertmaster of Brockton Symphony Orchestra, and co-founder of “Flying Hearts” duo, which performs in a number of musical genres including jazz, Klezmer, and classic American tunes. Born in Ukraine, Irina Kotlyar received degrees from the Rubin Academy of Music in Jerusalem, Israel. With Gregory Shifrin, the Kotlyar-Shifrin Piano Duo has won several international prizes and awards, and has performed throughout Israel, Europe and America.